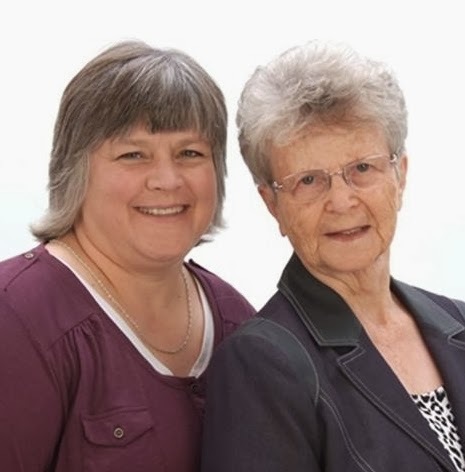 Long-time fans of Janette Oke will be delighted to learn the author is hosting her first-ever Facebook party alongside her daughter and writing partner, Laurel Oke Logan, on March 4, 2014, at 8:00 PM EST. During the hour-long live online event, Oke and Logan will be introducing readers to their latest release, Where Courage Calls (Bethany House Publishers/February 4, 2014/available in hardcover, paperback and ebook), a special companion story to the Hallmark Channel’s new When Calls the Heart TV series. Last fall, the movie When Calls the Heart, produced and directed by Michael Landon, Jr., debuted on the Hallmark Channel. The movie was inspired by Oke’s previously published book by the same name and launched the weekly TV series that premiered on January 11, 2014, and can be seen on Saturday evenings. The storyline and characters in Where Courage Calls are based on the TV series set in the Canadian west. The authors describe their novel as a “coming-of-age” story with a main theme centered on Philippians 4:13. “Our faith needs to transition from finding our security and safety in our families first, to putting our trust in God Himself who is able to meet all our needs and give us strength,” explains Oke. During the live online event, the authors will host a book-club discussion and answer reader questions. Readers will also have an opportunity to chat with other fans and answer trivia about the authors and their books. Prizes given out during the party will include copies of the paperback version of When Courage Calls as well as DVDs of the TV movie. At the end of the evening, the winner of an iPad mini will be announced. 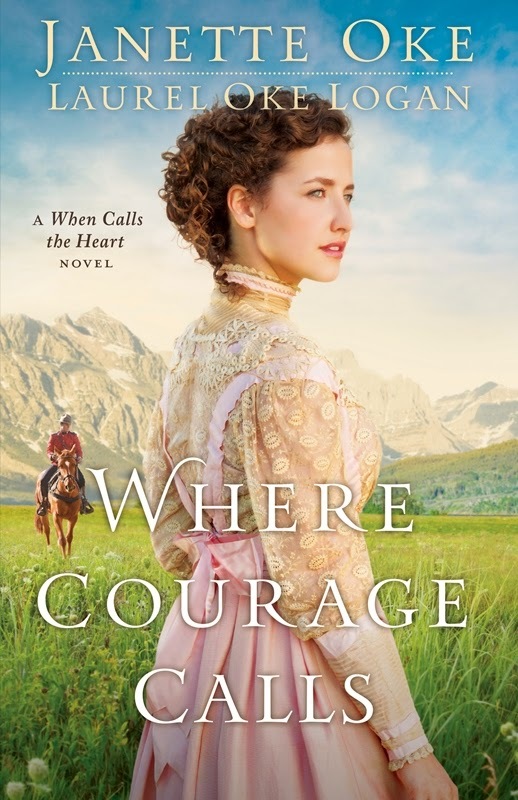 The iPad giveaway is being held in conjunction with the blog tour for When Courage Calls, coordinated by Litfuse Publicity Group from February 17 through March 4. The Facebook party will be hosted on the Bethany House Publishers Facebook Page. Starting February 17, readers will be able to RSVP to join the event and enter the contest for the iPad mini. Her courage and her heart will be tested in ways she never expected. . . . But the conditions in Coal Valley are even worse than she’d feared. A recent mining accident has left the town grieving and at the mercy of the mining company. The children have had very little prior education, and many of the locals don’t even speak English. There isn’t even a proper schoolhouse. In addition, Beth’s heart is torn between two young men — both Mounties, one a lifelong friend and the other a kind, quiet man who comes to her aid more than once. A special companion story to Hallmark Channel’s When Calls the Heart TV series. Bestselling author Janette Oke (pronounced “oak”) is celebrated across the world for her significant contribution to the Christian book industry. She is credited with launching the modern era of inspirational fiction with the publication of her first novel, Love Comes Softly, in 1979. Today, her novels have sold more than 30 million copies, and she is the recipient of the ECPA President’s Award, the CBA Life Impact Award, the Gold Medallion, and the Christy Award. Janette and her husband, Edward, live in Alberta, Canada. Laurel Oke Logan, daughter of Edward and Janette Oke, is the author of Janette Oke: A Heart for the Prairie, as well as the novel Dana’s Valley, which she co-wrote with her mother, and three other books published by Bethany House. Laurel and her husband have six children and two sons-in-law. They live near Indianapolis, Indiana. For more on Janette Oke’s books, visit janetteoke.com.